The courts in recent years have been nailing down ever more solidly the right to keep and bear arms. In the District of Columbia the U.S. Supreme Court struck down restrictive ordinances that required that guns be kept at home disassembled or nonfunctional with a trigger lock mechanism, saying this violated the Second Amendment. In the case of McDonald v. Chicago the high court overruled a 7th U.S. Circuit Court of Appeals and held that the Fourteenth Amendment makes the Second Amendment right to keep and bear arms for the purpose of self-defense apply to the states. This overturned a Chicago ordinance banning the possession of handguns. Justice Samuel Alito wrote that rights “fundamental to the Nation’s scheme of ordered liberty” or that are “deeply rooted in this Nation’s history and tradition” are appropriately applied to the states through the Fourteenth Amendment. Now, a panel of the usually reliably liberal 9th U.S. Circuit Court of Appeals has ruled 2-1, in the case of Young v. Hawaii, that states may not prohibit open carry, though the ruling still lets states require permits for concealed carry. Nevada is one of 30 states that currently allow open carry, while 15 require permits, including neighboring Utah, for open carry and five states, including California of course, plus the District of Columbia prohibit open carry. Judge Scannlain further pointed out that the right to self protection is one of those unalienable rights that existed prior to the Constitution and the Bill of Rights merely restrained Congress from infringing. Perhaps, such sound reasoning will deter Democratic legislators in 2019 from trying to restrict gun rights, as they have so often in the past. Bias, like beauty, is in the eye of the beholder. Earlier this year a three-judge panel of the San Francisco-based 9th U.S. Circuit Court of Appeals overturned a decision by Reno federal Judge Robert Clive Jones involving water rights in the Walker River Basin and ordered him removed from the case, saying he was biased against the federal government’s attorneys. Sounds like a factual assessment rather than bias. 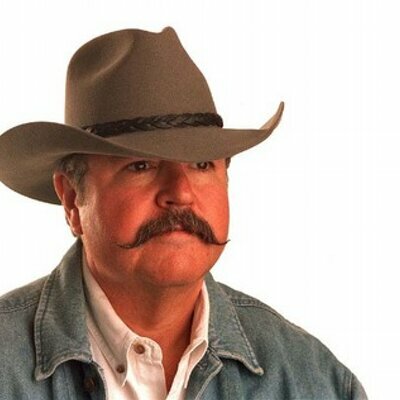 He ruled the government had interfered in the case by urging others to apply for the Hages’ grazing permits, by applying themselves for the Hages’ water rights and by issuing trespass notices against witnesses soon after they had testified. Now, if one wants to consider bias, perhaps one should review the federal judge’s behavior in the trial of some of the defendants in the 2014 Bundy ranch standoff, in which federal agents attempted to confiscate Bunkerville rancher Cliven Bundy’s cattle for trespassing on federal land without a permit. The agents backed down when confronted by armed protesters. 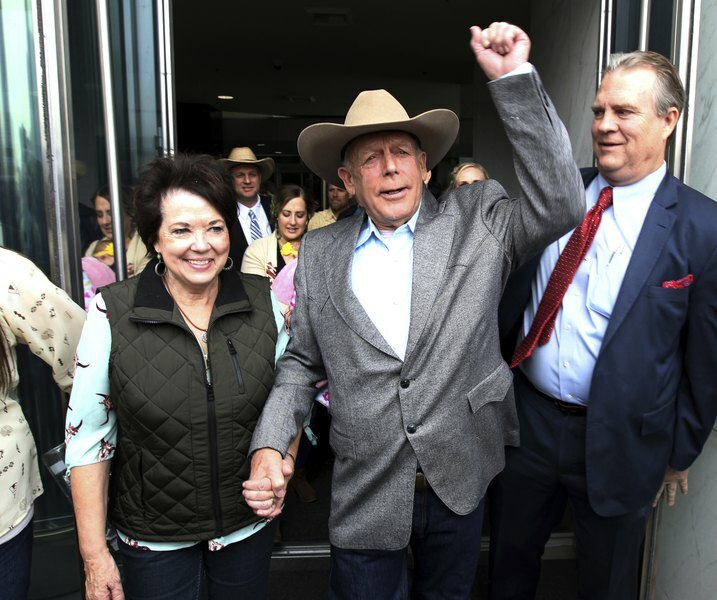 Federal Judge Gloria Navarro granted the prosecution’s sweeping call for limits on defense evidence — including arguments that the defendants felt justified to show up and protest the confiscation of Bundy’s cattle because of abusive use of force by law enforcement and that they were simply exercising their First and Second Amendment rights. Navarro later declared a mistrial because prosecutors failed to disclose evidence of that “abusive force,” which was barred from being presented as evidence. Then there is the federal judge who heard the trial of Cliven Bundy’s sons Ammon and Ryan and others for the 41-day armed takeover of the Malheur National Wildlife Refuge in Oregon to protest the lengthy sentences assessed two ranchers for letting backfires burn a few acres of federal land. Macfarlane described the judge’s treatment of the prosecution and defense in the trial as grossly disparate. “What I have learned since then is that this is not unique to the Bundy cases. According to a growing body of evidence, federal judges have become so accustomed to favoring the prosecution that they no longer seem to recognize what they’re doing,” he wrote. No one raised so much as an eyebrow over the behavior of Navarro and Brown in their cases, but Judge Jones gets slapped down — not so much for showing bias, but for which party he allegedly showed bias. One person’s bias is another’s hard-earned experience. In the matter of the Bunkerville standoff case, the fat lady may be the 9th U.S. Circuit Court of Appeals. Though the judge on Monday dismissed the case against Cliven Bundy, two of his sons and a Montana militia man “with prejudice,” meaning the charges can’t simply be refiled and another trial scheduled, according to the Reuters account, The Associated Press notes that the U.S. attorney, Dayle Elieson, released a one-sentence statement saying she will make a determination about whether to challenge the ruling before the appellate court. Four years after the standoff, in which armed protesters faced off with heavily armed BLM agents attempting to impound Bundy’s cattle for failure to pay $1 million in grazing fees and fines for two decades, and millions of tax dollars spent by the prosecution, what are the chances the feds will not appeal to the reliably liberal and prosecution-sympathetic 9th Circuit? Witness the court’s pro-government rulings in both the Walker River Irrigation District and the Wayne Hage ranch cases. On both cases the court found that a federal judge’s hard-earned, keen-eyed determination that the federal land agencies were running rough shod over the defendants amounted to bias on the judge’s part rather than accurate judgment. Another factor may be that nearly all the disclosure evidence that the prosecution failed to turn over to the defense, which resulted in a mistrial and the dismissal of charges, were deemed not admissible in earlier trials. Could that be grounds for appeals in the handful of convictions in those trials, since the discovery was not available then? One man was sentenced to 68 years in prison. For example, the judge noted that the prosecution failed to give to the defense log entries that said “snipers were inserted” outside the Bundy home, though prosecutors previously denied any snipers were posted and now say they were unaware of the FBI log showing otherwise. Ignorance is no excuse, the judge chided. In an earlier trial, the same judge kicked defendant Erik Parker off the witness stand for trying to mention where a BLM sniper was positioned. He was not allowed to continue his defense. The judge had ruled that evidence of provocation was not admissible. Also, according to AP, the judge has set a Feb. 26 trial date for four defendants still awaiting trial, including two more Bundy sons, Mel and David. What will they be allowed to argue in their defense, if the trial goes forward? A difference without a distinction? The 9th U.S. Circuit Court of Appeals has refused to reinstate President Trump’s executive order restricting immigration from six majority Muslim nations. “In suspending the entry of more than 180 million nationals from six countries, suspending the entry of all refugees, and reducing the cap on the admission of refugees from 110,000 to 50,000 for the 2017 fiscal year, the President did not meet the essential precondition to exercising his delegated authority: The President must make a sufficient finding that the entry of these classes of people would be ‘detrimental to the interests of the United States,’” the three-judge panel wrote. Each of these countries is a state sponsor of terrorism, has been significantly compromised by terrorist organizations, or contains active conflict zones. Any of these circumstances diminishes the foreign government’s willingness or ability to share or validate important information about individuals seeking to travel to the United States. So, Carter and Reagan can bar immigration from Iran and Cuba, based on what the government did nor did not do, but Trump can’t do the same with the six rouge countries identified in his order, which explains specifically that those countries can’t or won’t help vet travelers? President Obama has now commuted the federal prison sentences of more than 1,000 prisoners, mostly non-violent drug offenders. Most have served far more time in prison than if they committed the same crime today, because previous mandatory sentencing laws have been relaxed. Which brings us to H.R. 5815 — Resource Management Practices Protection Act of 2016 — introduced by Oregon Rep. Greg Walden. The bill would amend the Antiterrorism and Effective Death Penalty Act of 1996, which was passed following the Oklahoma City bombing and requires a minimum of five years in prison for anyone convicted of damaging federal property by fire or explosives. The bill would exempt from prosecution anyone who sets a fire on his own property to prevent damage — such as a backfire — or if that person is using a generally accepted practice for managing vegetation on timber, grazing, or farm land and fire doesn’t result in death or serious bodily injury — even if that fire spreads to federally controlled land. Which brings us to Dwight Hammond and his son Steven, two Oregon ranchers now serving mandatory five-year sentences because fires set on their own property escaped onto federal land, burning a grand total of 140 acres — one was a controlled burn and the other a backfire to protect their own property from a lightning sparked blaze. Even if passed, the bill would not result in the freeing of the Hammonds but could protect others from such frivolous prosecution in the future. The bill has cosponsors from Idaho, Washington, Arizona and Utah but none from Nevada. The judge reasoned, “Out in the wilderness here, I don’t think that’s what the Congress intended. And in addition, it just would not be — would not meet any idea I have of justice, proportionality.” He gave the father three months in jail and the son a year and a day. The U.S. attorney appealed and the 9th U.S. Circuit Court of Appeals, based in San Francisco, ordered the Hammonds must serve the remainder of that five-year sentence. 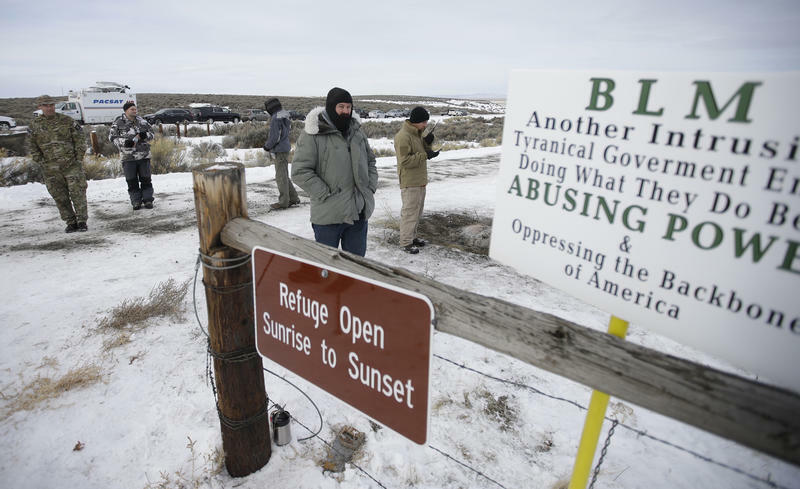 It was the resentencing of the Hammonds that prompted protesters to take over the buildings at the Malheur National Wildlife Refuge for more than a month this past January. But the Hammonds made it clear at the time they had nothing to do with the protesters and peacefully turned themselves in to the authorities and have been jailed since. 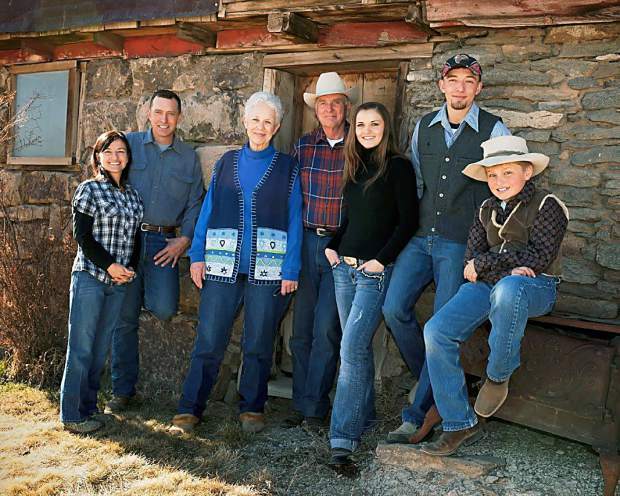 The protesters included two of the Bunkerville Bundy brothers, Ammon and Ryan, already notorious for their standoff with federal agents in 2014 who were trying to confiscate their cattle. A jury earlier this year refused to convict the Bundys and five other protesters for the refuge takeover, but the Bundys and others face charges next year over the Bunkerville incident. Obama announced in 2014 that he would use commutations to right the wrong of overly harsh sentences that did not fit the crime. The Hammonds would appear to fit in that category.